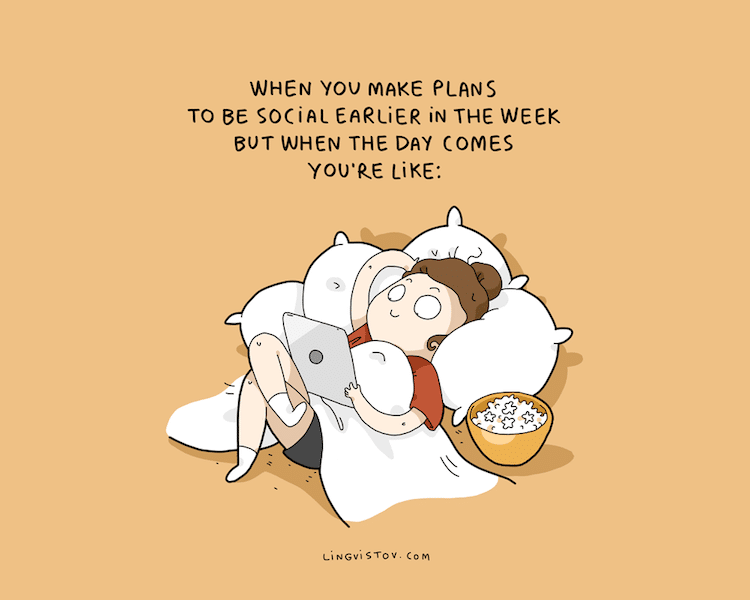 For an introvert, the weekend is best spent alone. 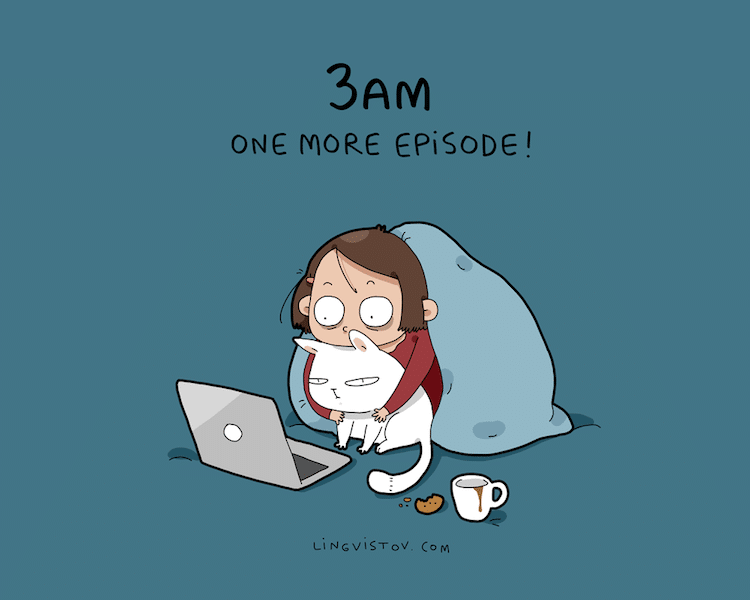 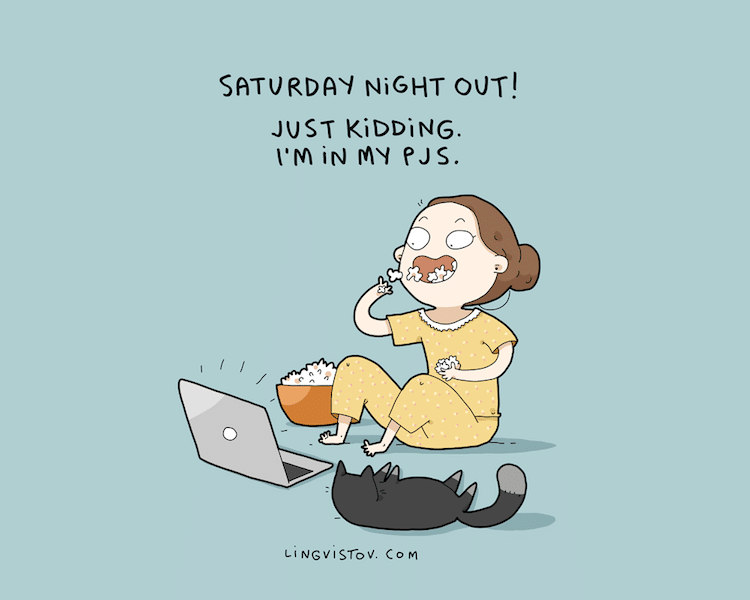 It’s precious time to stay home, binge watch Netflix, and snuggle with a furry pal. 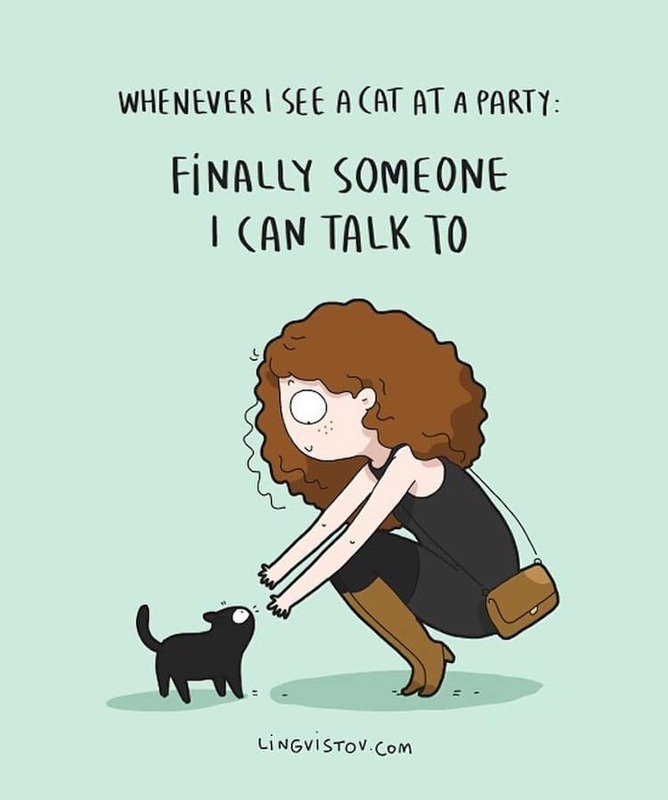 The prospect can fill an introvert with dread! 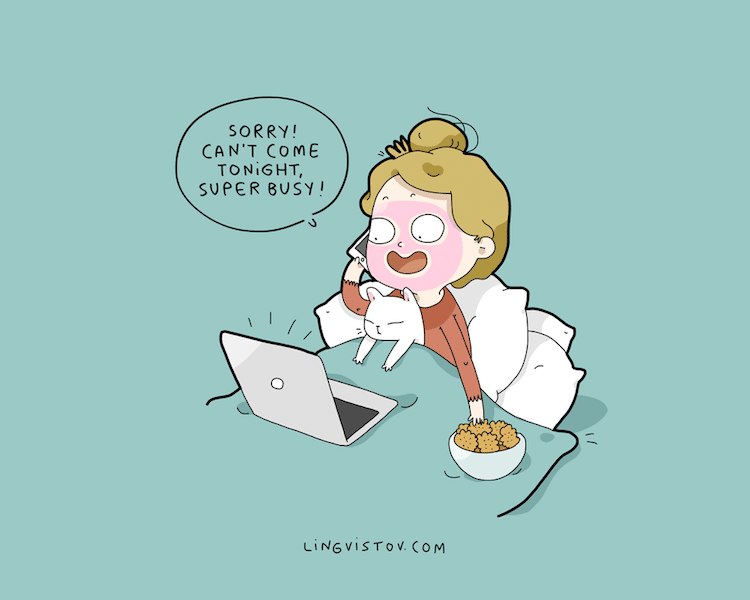 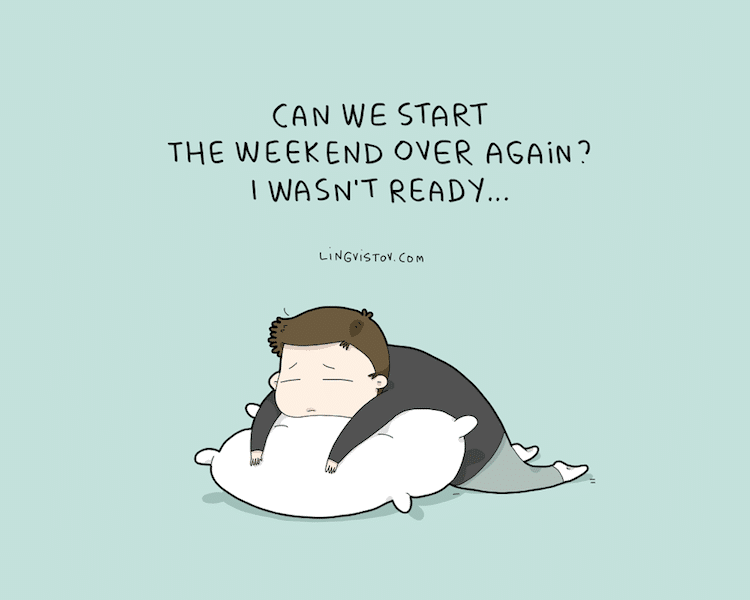 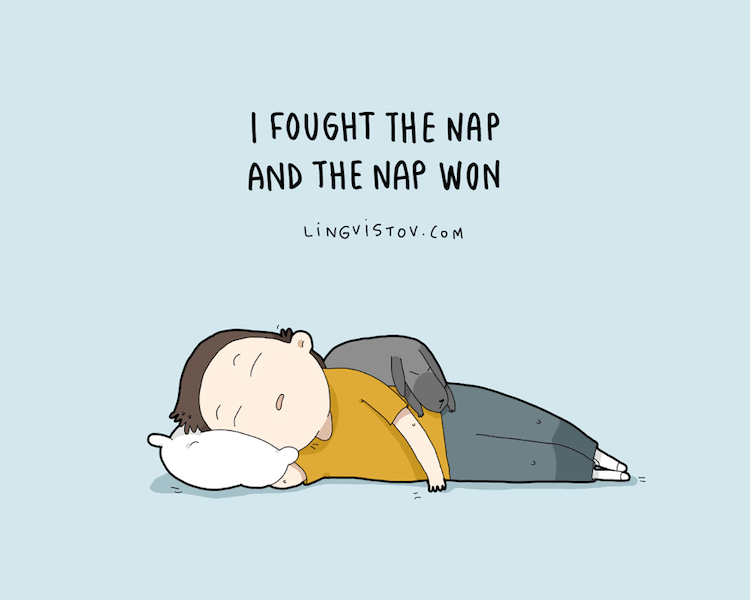 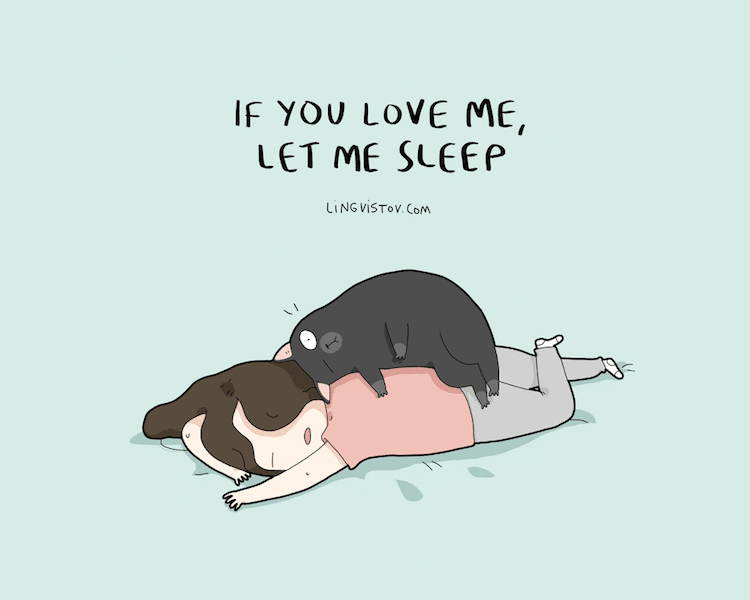 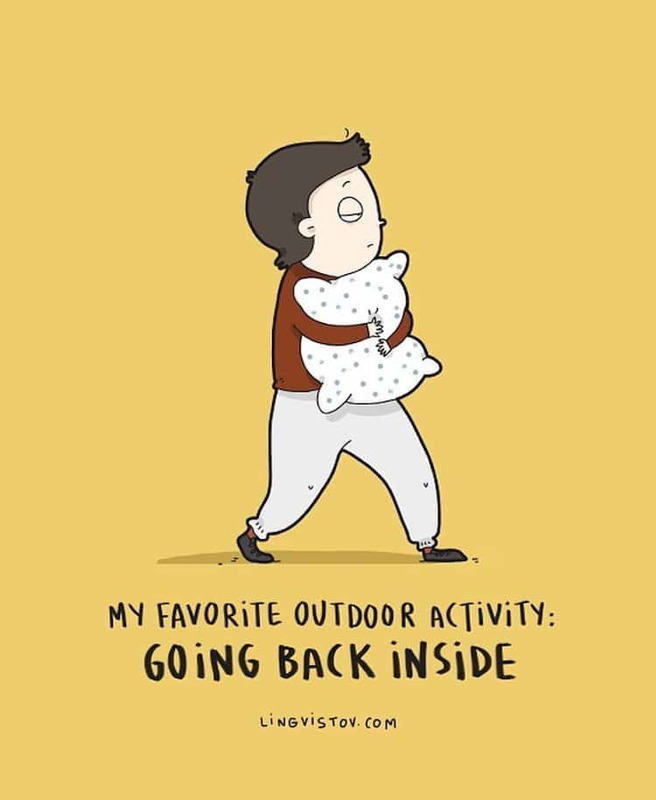 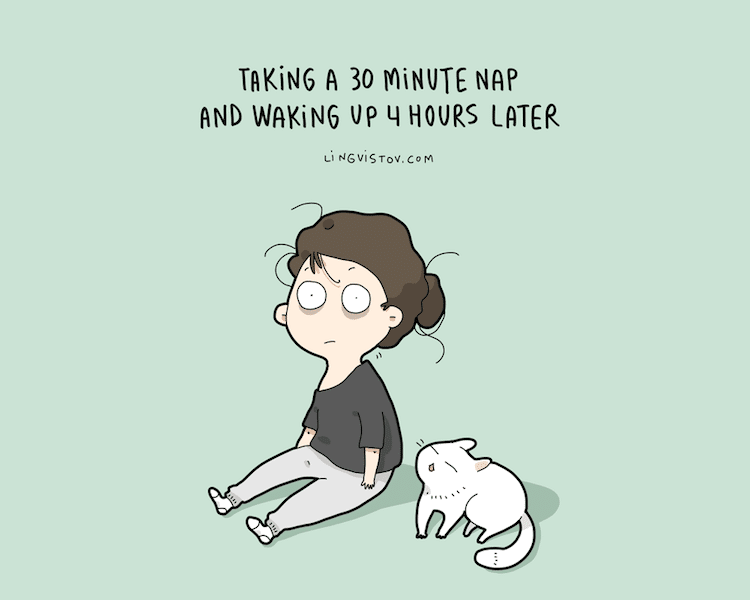 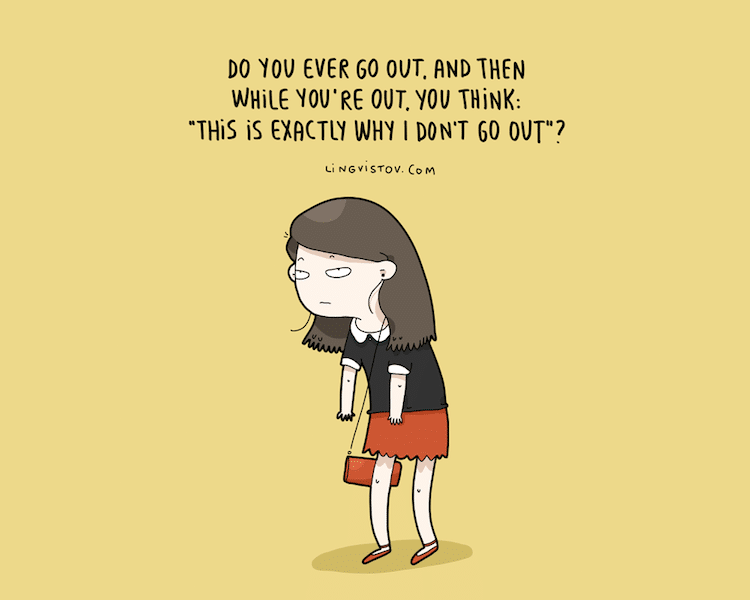 Landysh, one half of the drawing duo Lingvistov, perfectly captures this dilemma in her funny illustrations. 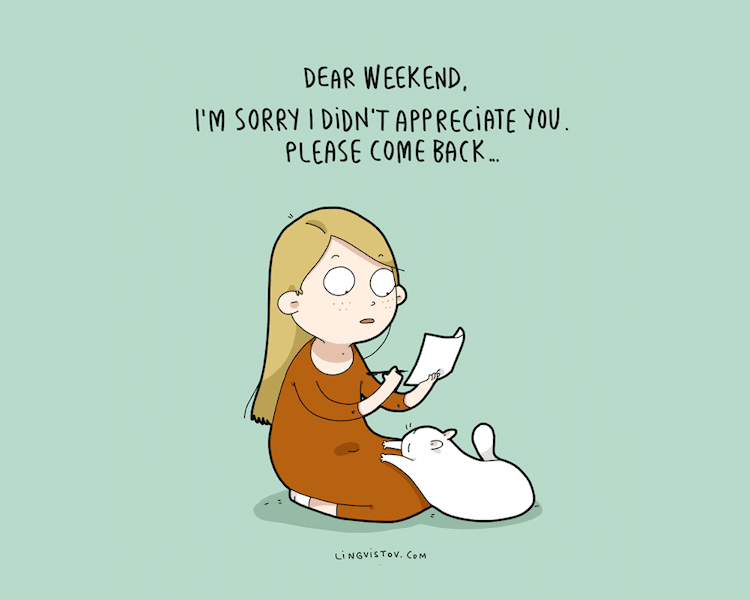 Her “doodles about the weekend” are largely centered around the idea that Saturday and Sunday are really meant for catching up on sleep and avoiding plans.